Chris & Rob Desino are experienced real estate professionals who began their riding careers very early – competing in hunter ring in their hometown of Rochester, NY. While in college, they were National rowing champions and went on to compete on the US National Rowing Team. 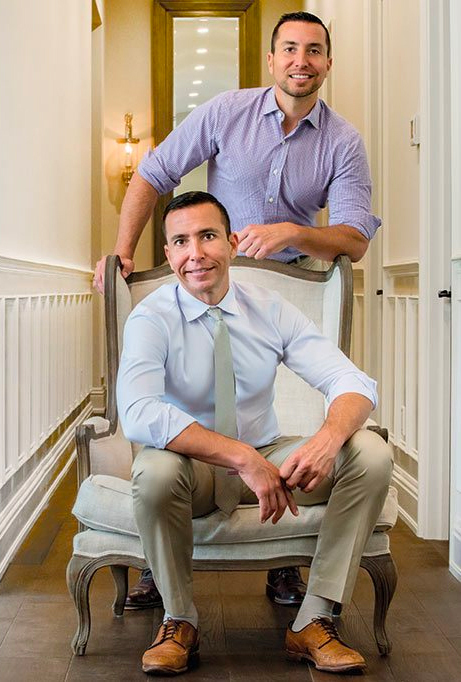 After their rowing careers, Rob and Chris started and developed a successful chain of restaurants that grew in upstate NY before selling the chain to pursue their real passion: riding horses and selling horse farms in Florida. They started Ocala Horse Properties in 2006, quickly becoming the leading farm sales company in Ocala, FL with the largest portfolio of listings, selling more farms than the next 23 real estate companies combined! Bolstered by their success in Ocala, they decided to start another company, Wellington Equestrian Realty, down in Wellington. The success of the Ocala Horse Properties benefited Wellington Equestrian Realty with a well-established and outstanding reputation, a long history of relationships with trainers and industry professionals and an unmatchable advertising budget. Ocala Horse Properties regularly gets buyer and seller inquiries for Wellington horse farms and they channel these clients to Wellington Equestrian Realty. Chris and Rob Desino are entrenched in the horse world, competing jumpers and sponsoring events at the WEF, as well as other shows around the country. They are huge supporters and proponents of the Florida equestrian lifestyle and are completely passionate about Wellington Equestrian Realty.